Hello, blogosphere! Happy October! I’ve been anxiously counting down the days. Because you know what October means! 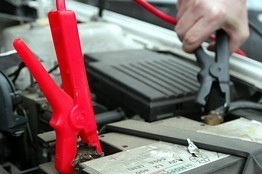 National Auto Battery Safety Month!! Oh, no? You’re not celebrating this year? Oh darn. Good thing October has a lot to celebrate. Like Popcorn Poppin’ Month. And Stamp Collecting Month. 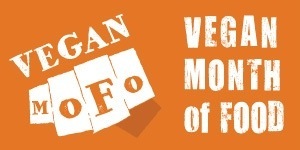 Oh yeah, and Vegan Month of Food! What’s Vegan Month of Food, you ask? Basically an excuse to repeatedly say “mofo” for 31 days straight. While writing about delicious vegan food, of course. October is also all about fall. So be prepared for lots of apples, oats, and pumpkin. Lots and lots of pumpkin. You may have heard of banana soft serve. (And if you haven’t, you need to go make some. Right now.) This recipe adds the perfect hint of pumpkin. 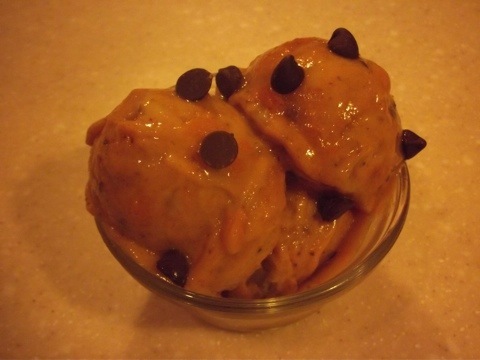 Put all Ingredients in a high power blender or food processor. Press the on button. Let it run until all ingredients are smooth, this may take a few minutes. Scrape down the sides and repeat, if necessary. This recipe can make two servings, unless you don’t feel like sharing. You could also freeze half and save it for later, if it actually lasts until later. (I would recommend letting it sit at room temperature for a few minutes after refreezing) Or, you could simply eat all of it. Which is exactly what I did. I also added a few chocolate chips. Excuse me while I drool all over my keyboard. Check out the other MoFo bloggers here. And remember to be safe around those auto batteries. I only just heard of banana soft serve! This looks like a delicious version. Thanks! Best invention since sliced bread! Enjoy! Please treat battery safety more seriously. if you had lost a loved one in a battery accident, you might not be so flippant. Thank you for your comment. I did not mean to undermine the seriousness of battery safety. I apologize if I offended you. Happy MoFo-ing to you too! Your spicy Cajun lentil patties look delicious! You can bet I will say “mofo” as many times as possible all of October. 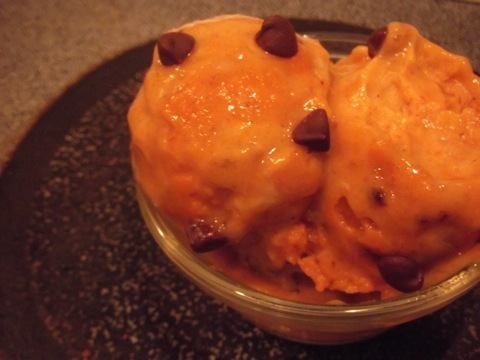 Example: “Damn, that pumpkin ice cream is one mofo of recipe.” To be clear, I mean it looks damn tasty!